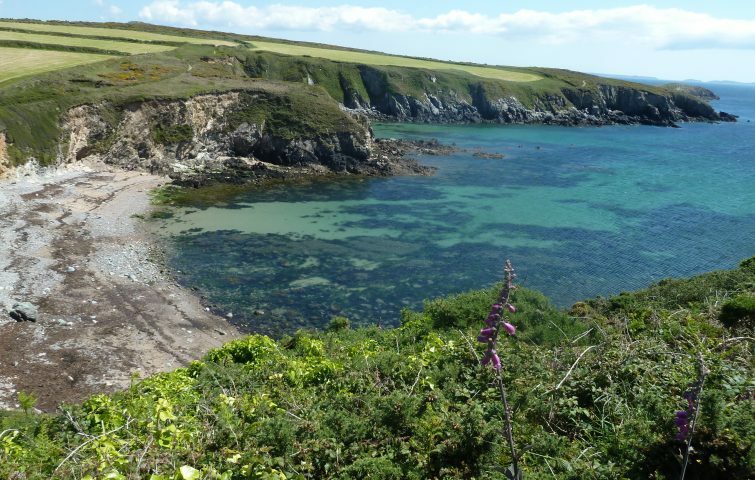 This is a gem of a walking holiday along unspoilt miles of beautiful coastline footpaths. In spring and early summer its clifftops are ablaze with wildflowers and we pause frequently to discover more about these unusual coastal plants. During our daily walks we’ll see colonies of seabirds nest along its cliffs and seals, porpoises and dolphins can sometimes be spotted swimming offshore. Highlights include a short boat trip to the magical RSPB Ramsey Island to see little owls, hunting peregrines, rare choughs and red deer. On a fine evening we’ll use bat detectors to locate and hear bats flitting around the cathedral and the ruins of the bishop’s palace. St David’s has a great choice of excellent pubs and restaurants for our evening meals (not included, from £12). This five night holiday with Madeline is based at the City Inn, with many single rooms available. The holiday is priced on a part board basis with breakfast and packed lunches included. St David’s can be reached by car, or by regular bus from Haverfordwest station.